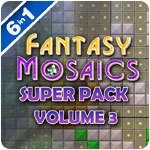 Fantasy Mosaics Super Pack - Volume 3 Game - Download and Play Free Version! This time the penguin family is taking a trip to the multi-color wonderland! 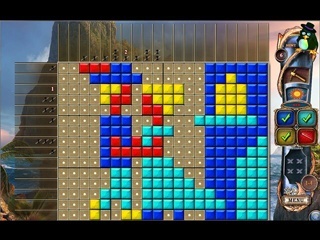 They are going to discover a new collection of mosaic puzzles with up to six colors! This innovation opens up a whole new dimension of challenge and brings you many hours of entertainment. The penguin family is waiting for you to accept this new challenge and have fun uncovering the hidden multi-colored images, while building a beautiful landscape of the wonderland. The penguin family are thrilled to discover a new palette of colors for mosaic puzzles! They are happy to meet a mysterious lady penguin on an alien planet who helps open their mind to a great variety of colors. Along the way they keep exploring the alien world and build a beautiful landscape! 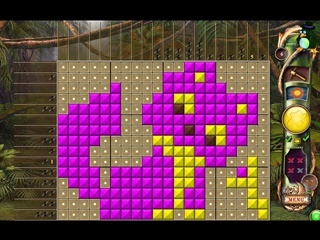 Join the penguins to follow the logic of numbers, to uncover the new gallery of pixel art images!